Ooh la la! 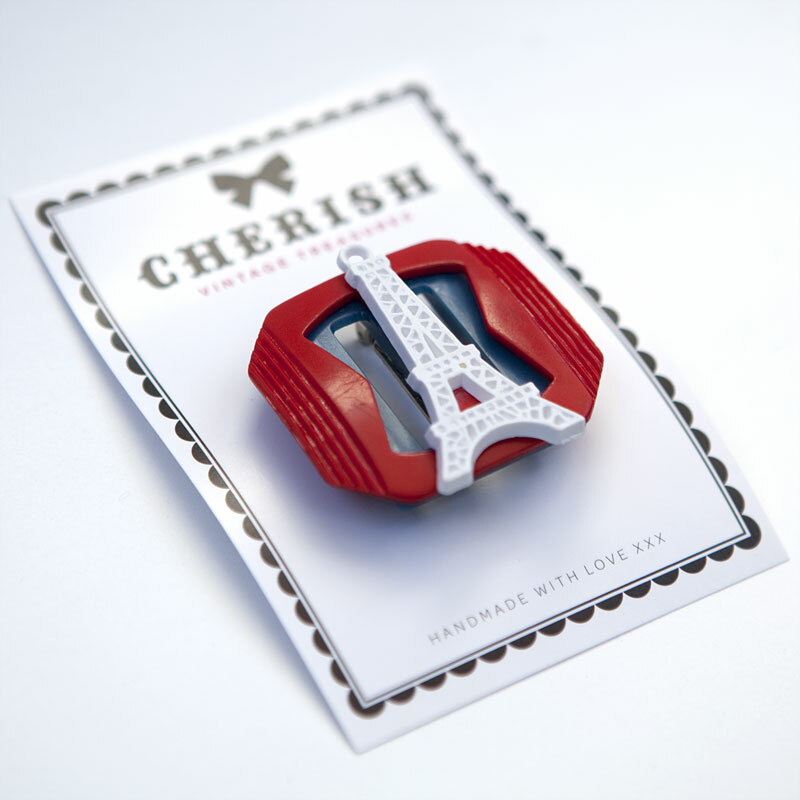 This one-of-a-kind Eiffel Tower brooch will transport you to the city of romance... if you're lucky! This 'vintage treasure' features one of France's national treasures. 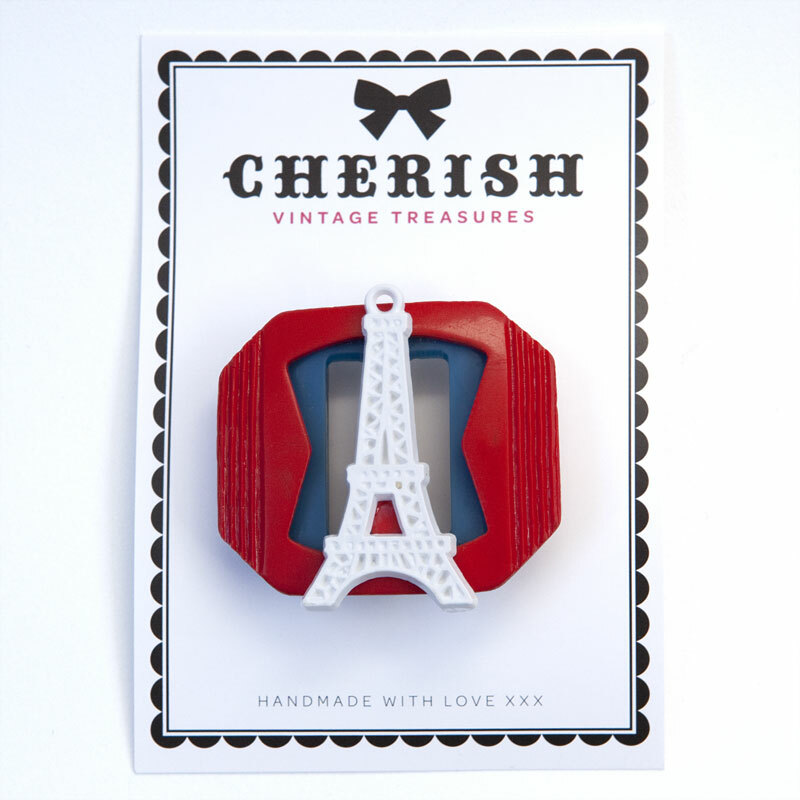 The brooch has been handmade with love from new and vintage components.